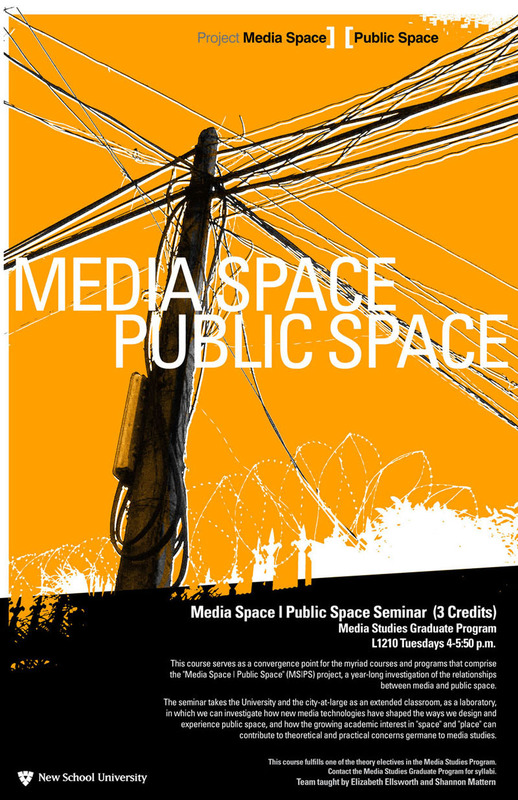 This course serves as a convergence point for the myriad courses and programs that comprise the “Media Space | Public Space” (MS|PS) project, a year-long investigation of the relationships between public spaces, media technologies, their uses, and the mediated environments they create. Bringing together students from the Departments of Media Studies & Film, Design & Technology, Architecture, and International Affairs, this seminar takes the University and the city-at-large as extended classrooms, as laboratories, in which we can investigate how new media are shaping the ways we design and experience public space, and how the growing academic interest in “space” and “place” can contribute to theoretical and practical concerns germane to media studies and other fields concerned with media. Students enrolled in the seminar will be asked to attend, over the course of the semester, a minimum of three events that will be listed on the MS|PS events calendar. We will gather in the classroom for several seminar sessions during the semester to discuss the course’s foundation readings and our individual explorations of the seminar-related, outside-of-class events. 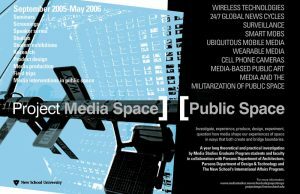 In our in-class sessions, we will identify overarching themes, develop synthetic theories, draw conclusions about the relationships between media and space – and, ultimately, design and facilitate a culminating project that reflects our individual and collective understandings of those relationships.